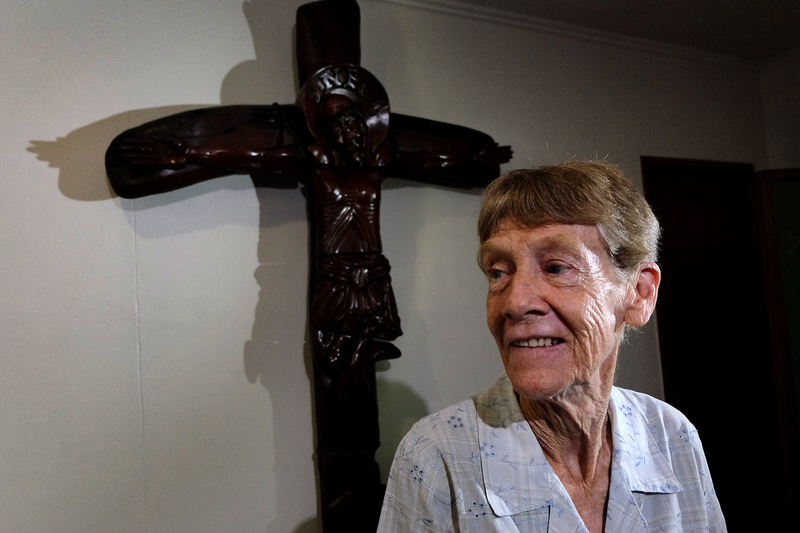 A group of opposition lawmakers have filed a measure seeking to grant Filipino citizenship to Australian missionary Sister Patricia Fox. House Bill 7806 aims to grant Filipino citizenship to the Catholic nun as a “fitting recognition for her selfless service to the poor and oppressed Filipinos”. “For 27 years, Sister Pat lived with and served the farmers, indigenous peoples and other marginalised people in the communities. By living with the poor and oppressed, Sister Pat has come to understand, experience and embrace the culture and the struggle of the poor Filipino majority,” the representatives said in the bill’s explanatory note today (Wednesday, May 30). “It is a response to the call of many farmers, fisher folks, and indigenous people whose lives were touched and helped by Sister Pat,” it concluded. Sister Patricia has said she was honoured by the proposal, and the filing of the bill made her feel welcome in the country. “Actually I feel very privileged that they would consider filing a bill that would make me a citizen. Because that makes me feel very accepted. And that has been how I always felt here, very accepted,” she said during a forum in Quezon City today. “I am very honoured that they would even propose such a thing,” she added. Meanwhile, Father Jerome Secillano, the executive secretary of the Catholic Bishops’ Conference of the Philippine-Public Affairs Committee said the job of missionaries did not only involve church work but also covered fieldwork such as meeting members of communities. “Church work does not only involve the pulpit. Also part of our mission is immersion in communities. It’s part of our job to have concrete works,” he said. The Bureau of Immigration has confirmed that the nun would not be deported if Congress granted the 71-year-old citizenship. “A Philippine citizen cannot be deported from the Philippines,” said BI spokeswoman Dana Krizia Sandoval. Sister Patricia is facing deportation for allegedly participating in partisan political activities. She was due to leave the country on May 25, but has been given leave to remain until June 18 pending an appeal. disobey the law and you’re granted citizenship, are you kidding me??? Only in the Philippines!